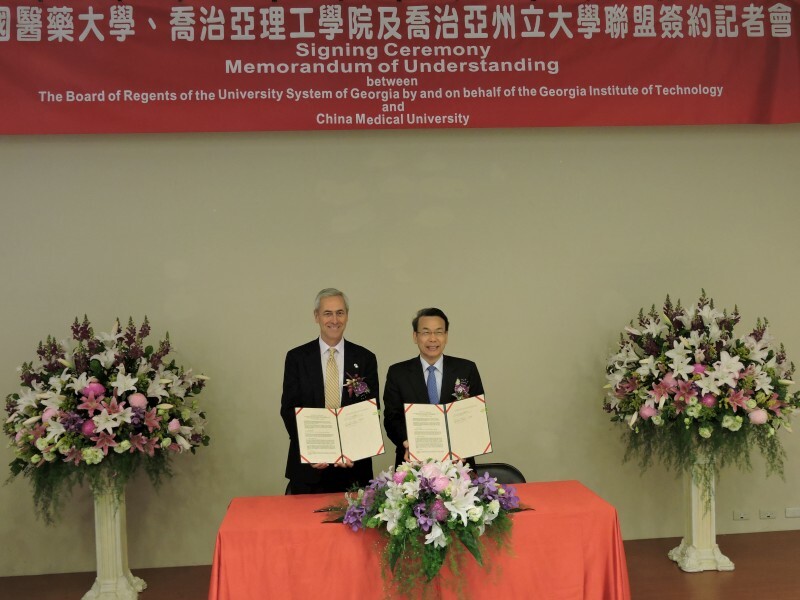 In an attempt to cultivate medical talents and integrate the cutting-edge 3D printing technology into medical education, Dr. Wen-Hwa Lee, President of China Medical University (CMU), and Dr. Yves H. Berthelot, Vice Provost for International Initiatives of Georgia Institute of Technology (GT), signed a Memorandum of Understanding (MOU) on January 17th, 2015, to promote research and development collaboration on 3D printing, another great leap after the inauguration of 3D Printing Medical Research Center last September. 3D printers can create physical objects, even rather intricate ones, by printing thin layers after layers of plastic, metal, ceramics or other materials. As 3D printing has the potential to revolutionize the way we make almost everything, and as its products can be highly customized, concrete duplications of tumors, organs, and blood vessels can be precisely made in terms of medical application. Before doctors perform real surgery, they will be allowed to simulate one in order to increase the probability of success. 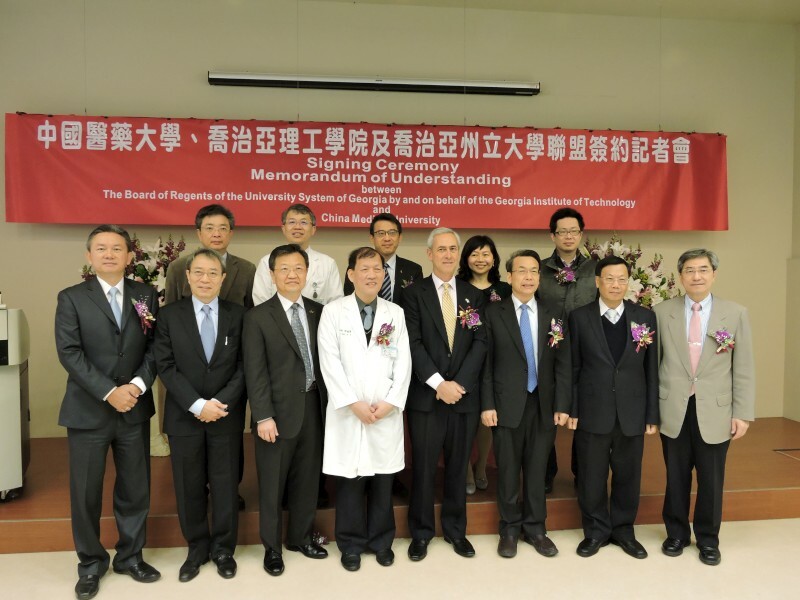 Dr. Ben Wang, GT’s Chief Manufacturing Officer and Executive Director of Manufacturing Research Center, was the crucial propeller behind the signing of MOU. 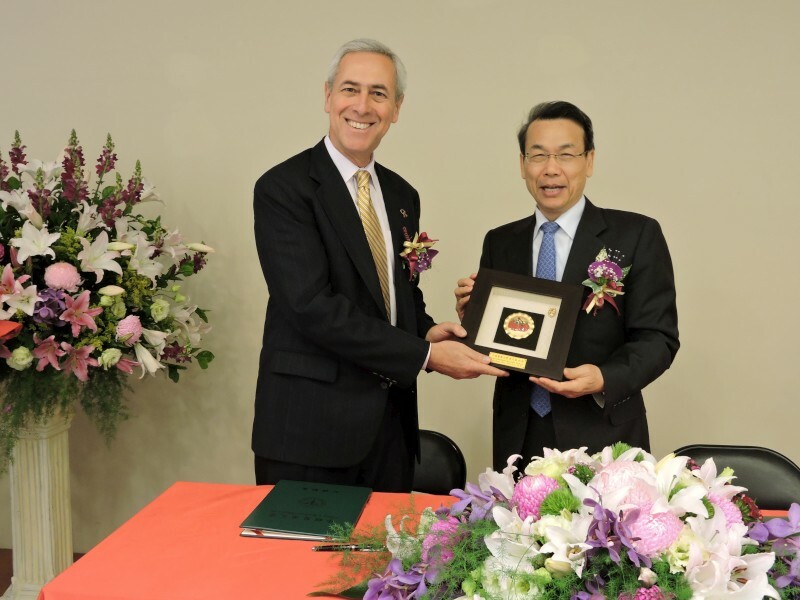 Also, as the Honorary Director of 3D Printing Medical Center in CMUH, Dr. Wang agreed that CMUH - having the best environment for medical marketing in Taiwan - and GT - one of the top-notch technical institutes around the world – could both benefit from MOU and gain experiences rapidly. 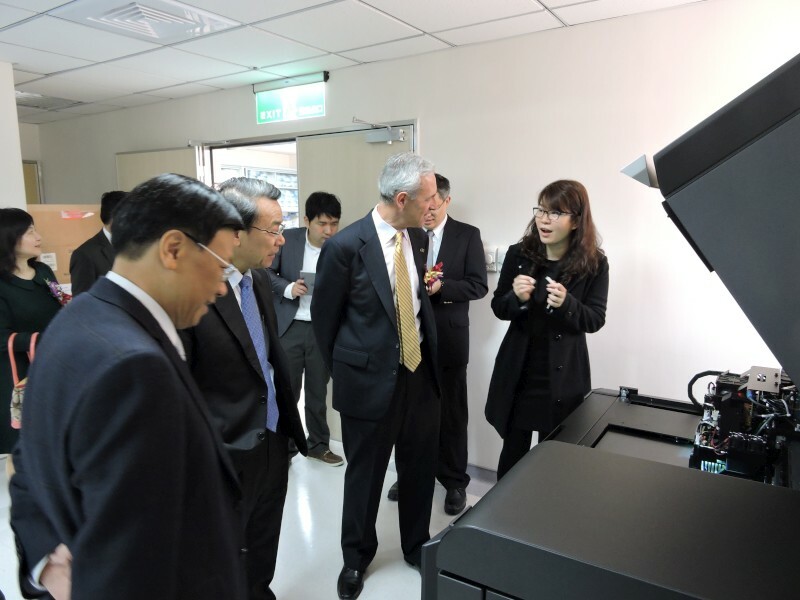 In just a few years, CMU and CMUH will have a globally leading 3D Printing Medical Center and even will be able to export the advanced technology to neighboring countries.